What makes an artist to succeed is still a secret for most of all. What it is sure, is that the journey is long and hard, more even coming from an island; a beautiful place in the world, but far away from the big cities and the big opportunities. This is what makes Javier Carballo still more respectable. He has been the reference for the best underground electronic music, back at the Canary Islands and Spain, but now he is becoming well known far away from his country too. We can see the energy of those warm islands on his energetic and spectacular underground sets, on his stylish house and techno; on the mysterious and sensual “deep house” he spreads. All this together with his commitment for the transmission of the good music, the good parties and all the people involved in, made him the big artist he is already. He has built step by step his own style, and above all he has a strong devotion for the sounds that make us, the lovers of music, move and move, dance and dance with him as our dance partner. We can start naming some of the best booths, clubs and parties he had played in, but the list will have no end: Fabric (London), Cocoon (Frankfurt), Watergate (Berlin), Sankeys (Ibiza), Goa (Madrid), Club Q (Zurich) and so on. He is expanding his elegance; energy, versatility and charisma around Europe, where the unknown audience had realize his distinctive and unique touch and soul. Javier Carballo started to produce on 2009 and his music has being published very soon on international labels. Almost at the same time he began to remix other international artists. Just one year after, the canary wonder boy creates his own label together with his partner Hanfry Martínez, as natural and quickly as that! With their label they are showing their own underground house music vision, and that makes people such as Maya Jane Coles, Subb-an, Djebali, Adam Shelton, Subb-an, Jay Tripwire, Terence: Terry:, etc.- wanted to collaborate with them. They are broadcasting the rich Canary Clubbing scene, like the benefactors of such a burning up landscape. 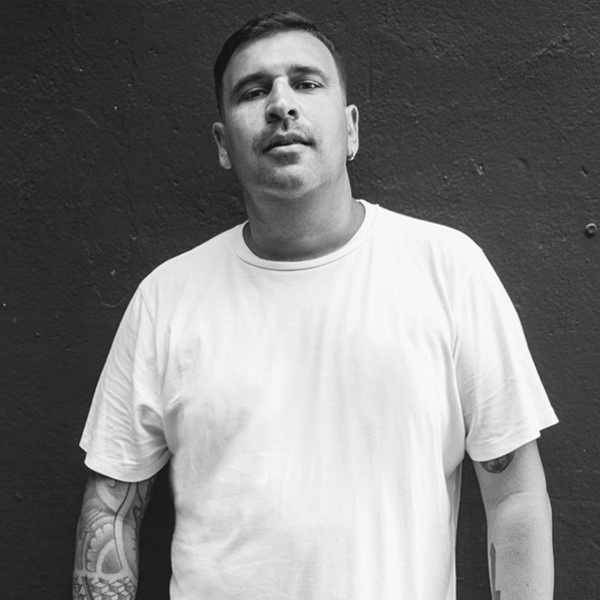 Richie Hawtin, Franck Roger, Tania Vulcano, Seth Troxler, Paco Osuna, Loco Dice etc, had Played and charted Carballo’s tracks, and he had recently published some eps and remixes on labels such as District, Raw, Tzinah, Gimmick, One Records, Inmotion Music and La Vie en Rose; and now this unique artist is also creating new tracks for Inmotion Music (Brooklyn), One Records, his imprint label Overall Music, etc. On the other hand as a promoter he is the visible head of Under Your Seat, responsible of the line-up for Velvet Club, Rebel Electronic Dance Club and Discontrol Fest, in Gran Canaria. On March 2013 he had played at UK- Fabric, one of the principle and biggest clubs of electronic music, and the strict audience from Fabric had the opportunity to enjoy his talent. Now, cities such as Munich, Berlin, Madrid and Barcelona could soon feel the beats of this insular but borderless artist. Now he is based on the deepest heart of Berlin where he is co-working with his friend, the producer John Dimas. As we can appreciate, this wonder boy is not going to remain isolated and unmoved. He understands music with an unusual sense, with an incomparable sensibility, out of the ordinary…and this will make him to became an exceptional and international artist, no doubts!